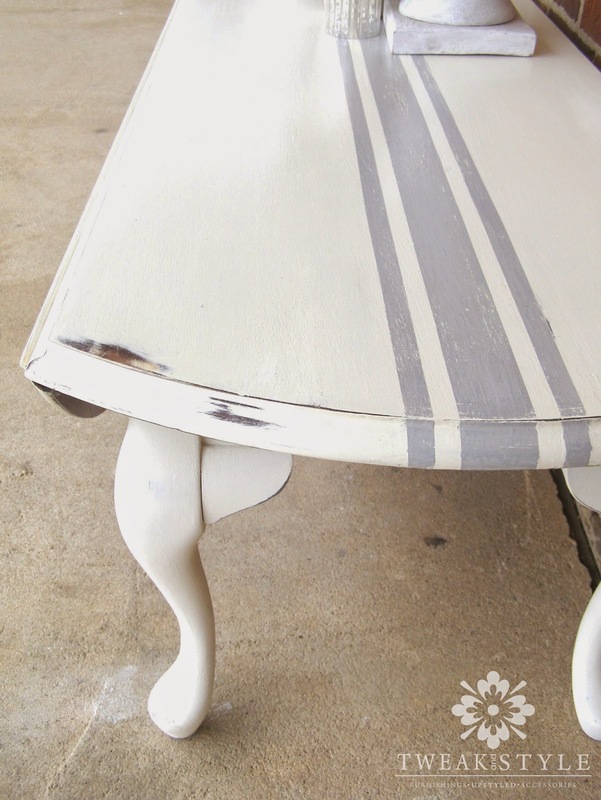 One of my favorite ways to add personality to a piece of furniture is with grain sack striping. I know. Grain sack stripes are everywhere, but I have yet to tire of them. In fact, I don't think I will tire of them. They are just good ol' clean and simple. 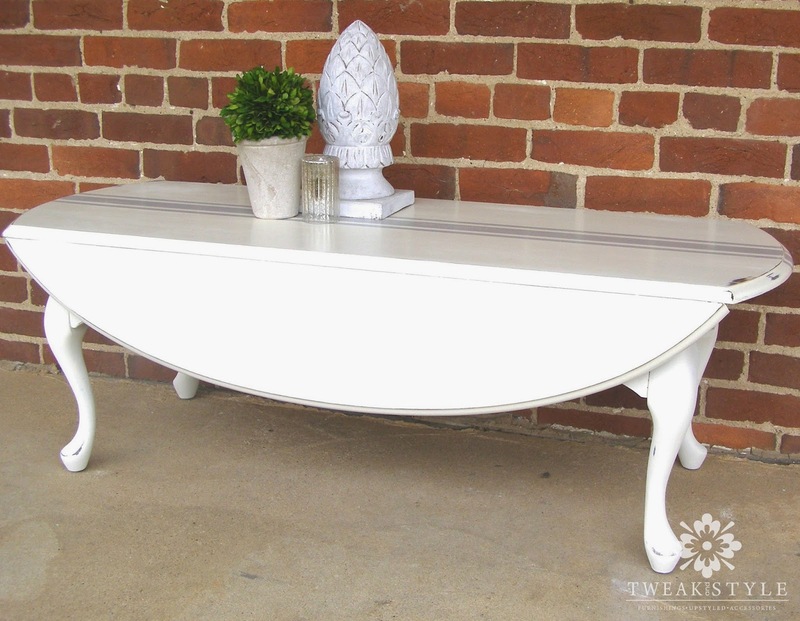 A fresh coat of chalk paint and some distressing updated it entirely. But, it was a simple Paris Gray grain sack stripe that let it make a style statement, ever so simply. 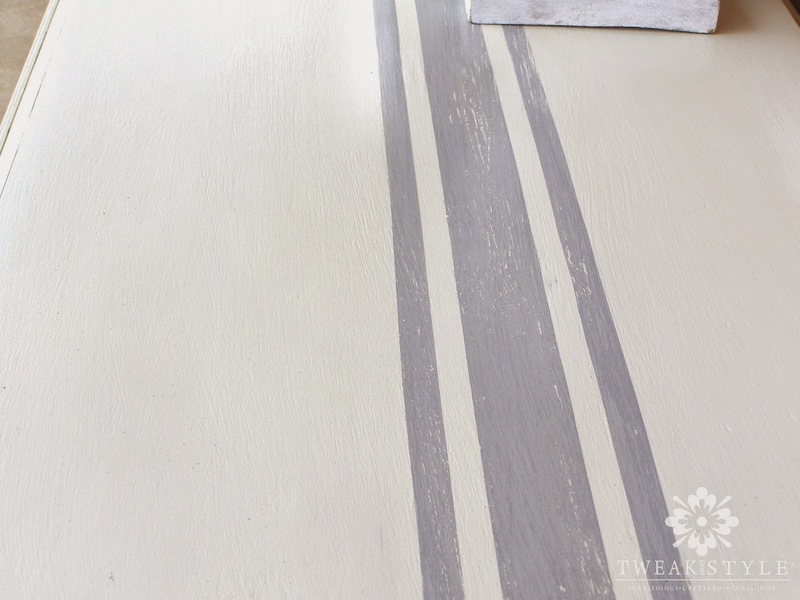 but I wanted to share how I do quick and easy striping. My mostly full proof method for painting grain sack stripes? I let the tape do all the work. 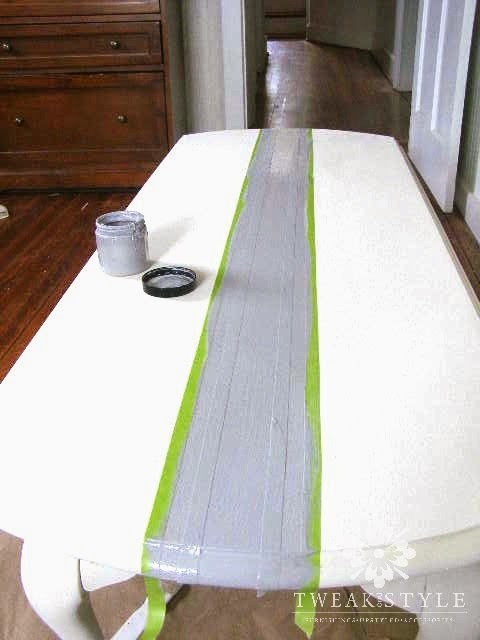 For this process, I used 1 1/2 inch and 1/2 inch painters tape to lay my stripes. 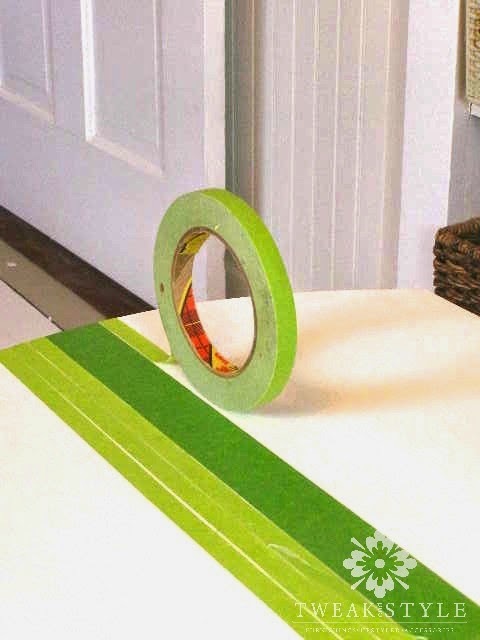 You can find a good assortment of painters tape here. 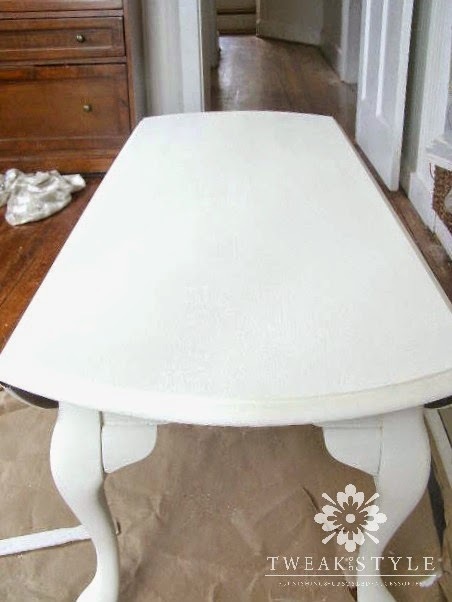 Starting with a table freshly painted with off white chalk paint. 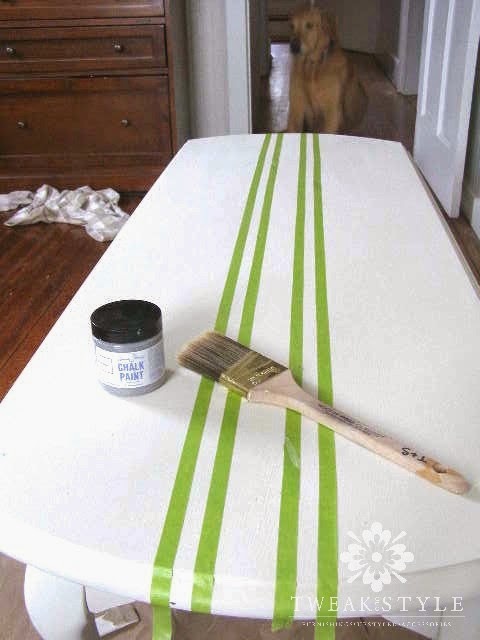 Follow with 3 stripes of 1/4 inch tape on either side of the middle. Here are all your taped lines. 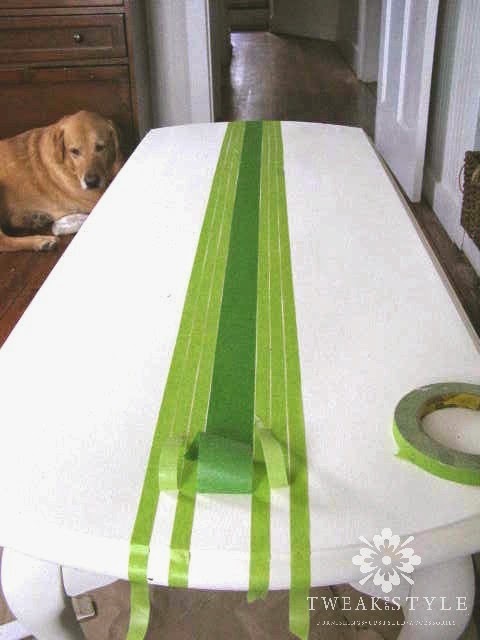 Now, pull up the middle stripe and the second in on each side of the thin tape. There, perfectly even stripes... without measuring. Fill in stripes with your color of choice. Here I used Annie Sloan Paris Gray. 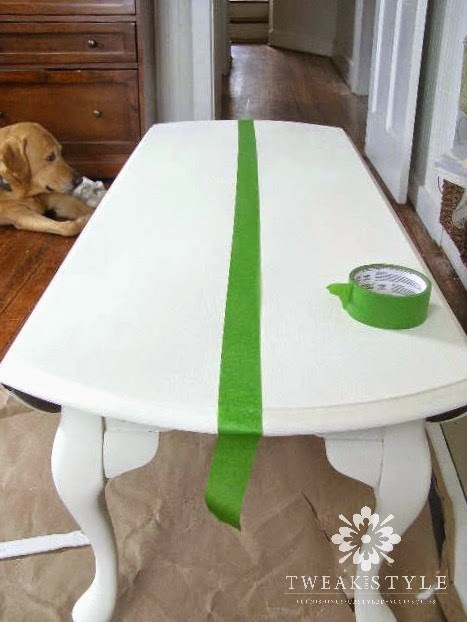 Pull your tape up after paint is slightly set. 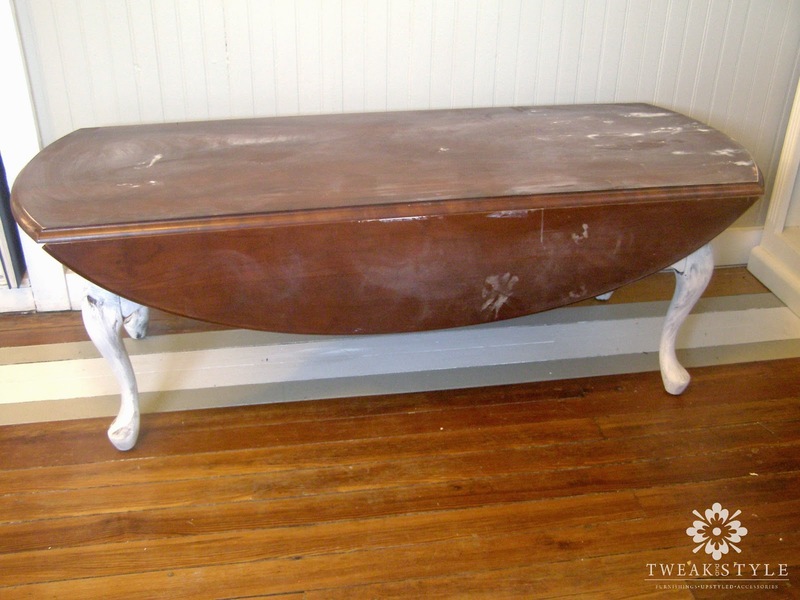 Then add distressing as desired. And when don't we desire distressing? I like your grain-striped table very much. 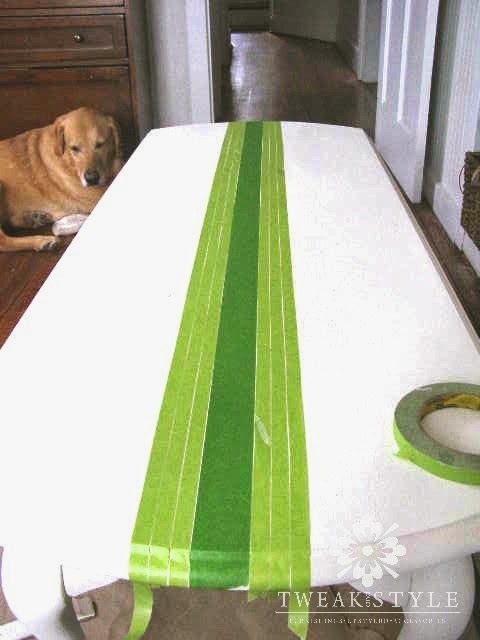 I have the wider tape and now must look for the narrower tape to have on hand for creating the stripes. 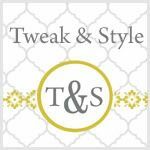 Thanks for sharing your how-to! Debbie - this looks great! I am going to have to try this! Hope you are doing well! p.s. how did you finish this?